GEF Council members were briefed by representatives from the UN Development Programme (UNDP), International Fund for Agricultural Development (IFAD) and the World Bank at the beginning of the third and final day of the 50th meeting of the GEF Council. Representatives from the three organizations presented on progress to date on the three Integrated Approach Pilot (IAP) Programs that their organizations are leading: taking deforestation out of the global commodity supply chain, fostering sustainability and resilience for food security in sub-Saharan Africa, and sustainable cities, respectively. 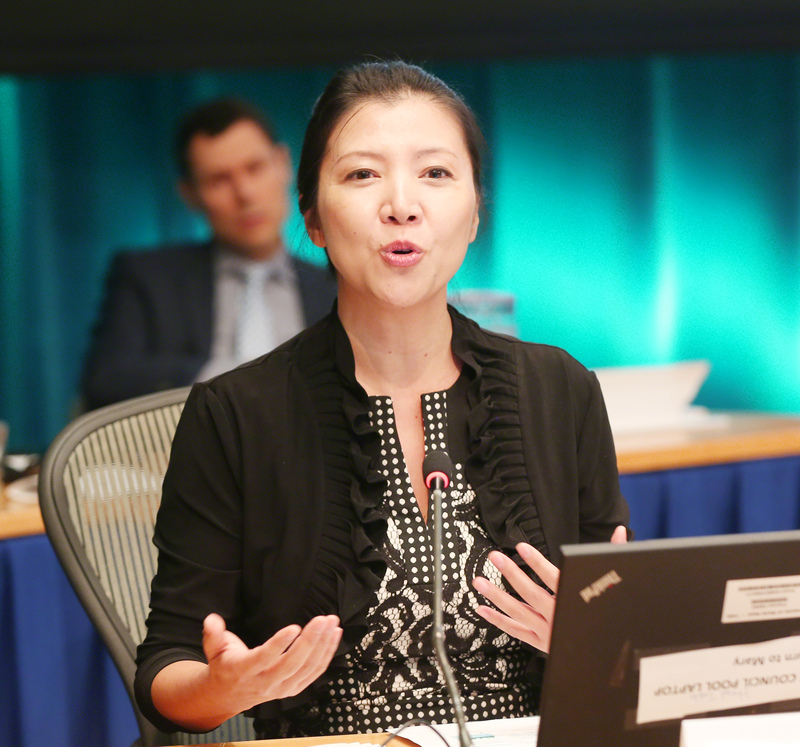 The GEF Council also reviewed and approved the GEF Business Plan and Corporate Budget for the fiscal year 2017, the investment strategy review of the GEF Trust Fund, and the Annual Performance Report 2015 and Management Response. 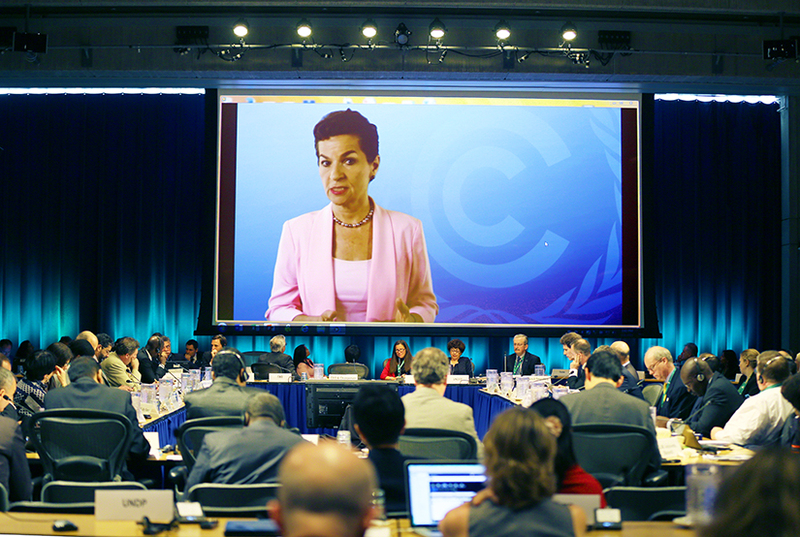 Participants then convened for the 20th meeting of the Council for the Least Developed Countries Fund (LDCF)/Special Climate Change Fund (SCCF) and considered a progress report, Annual Monitoring Review for the fiscal year 2015 and 2015 Annual Evaluation Report of the Funds as well as work programs and budgets for 2017. 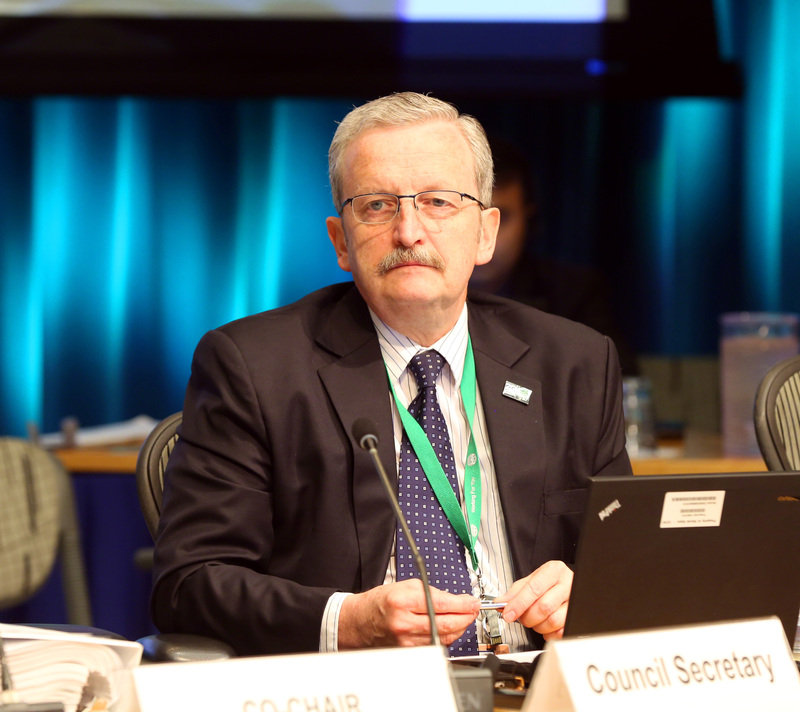 At the conclusion of the meetings, Council members reviewed and approved the Joint Summary of the Chairs for the GEF Council and LDCF/SCCF meetings. 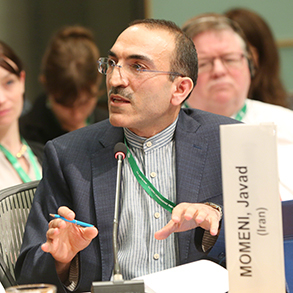 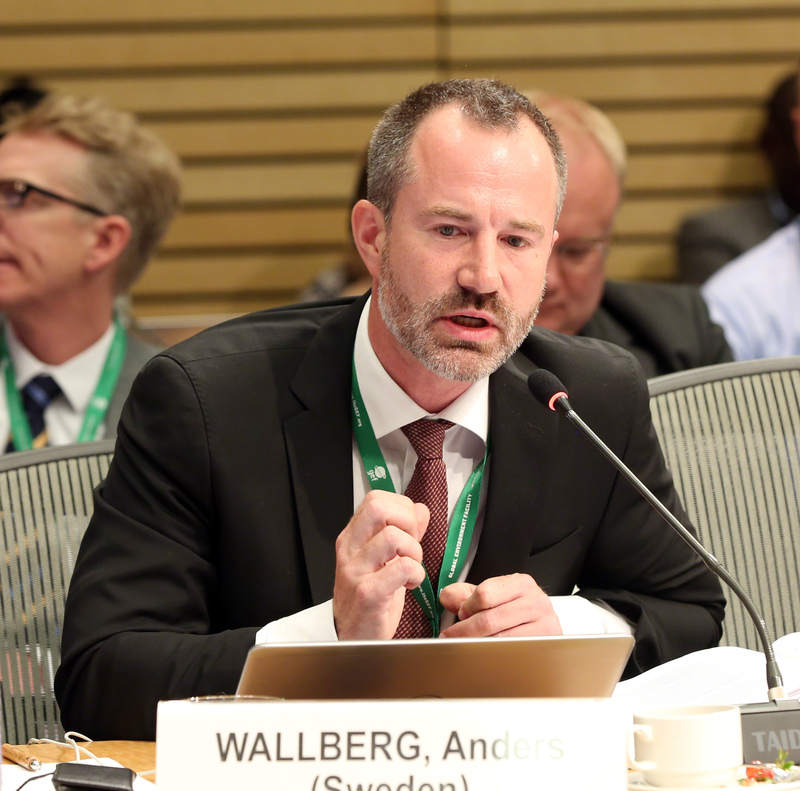 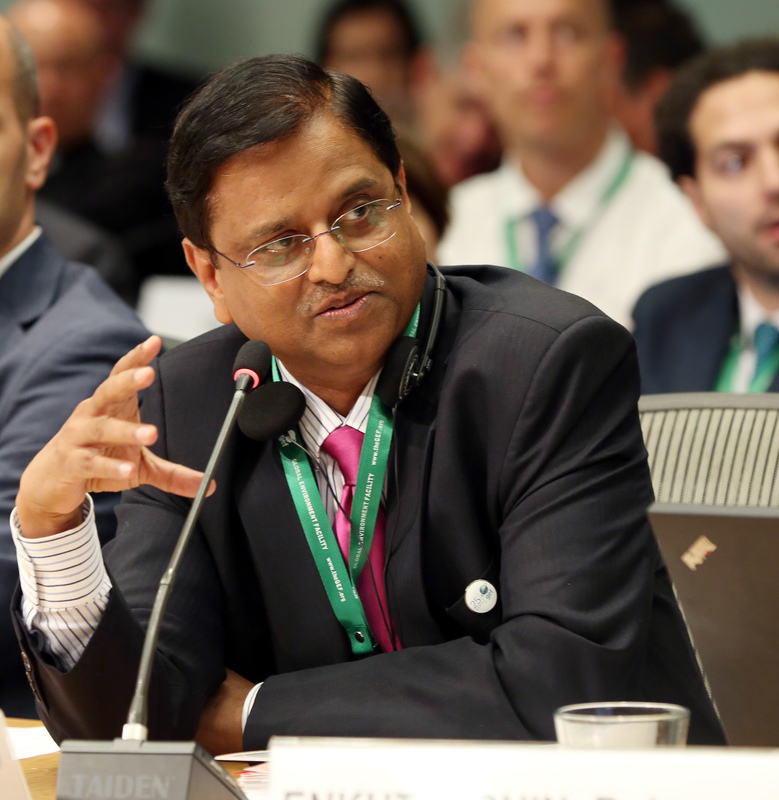 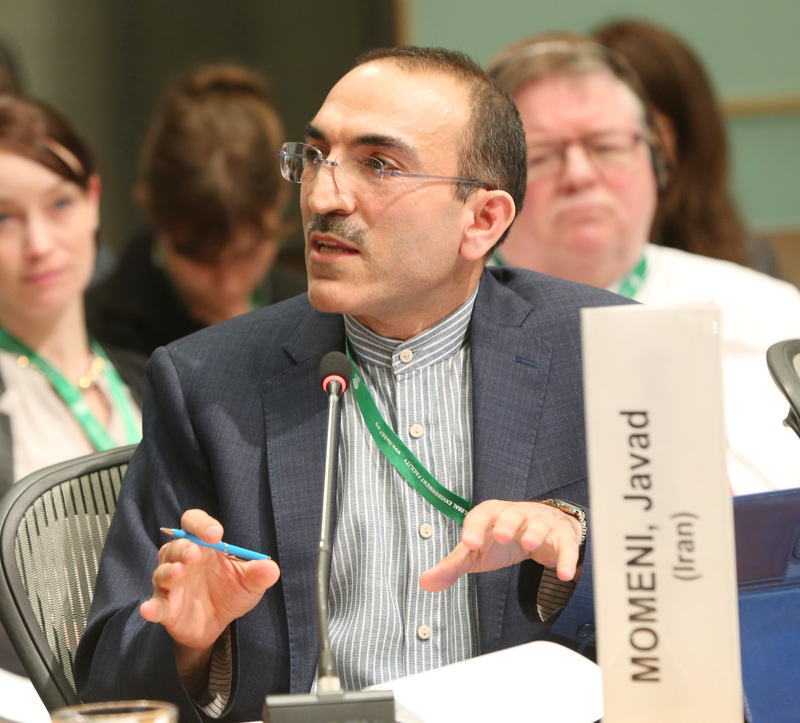 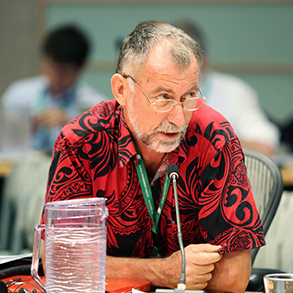 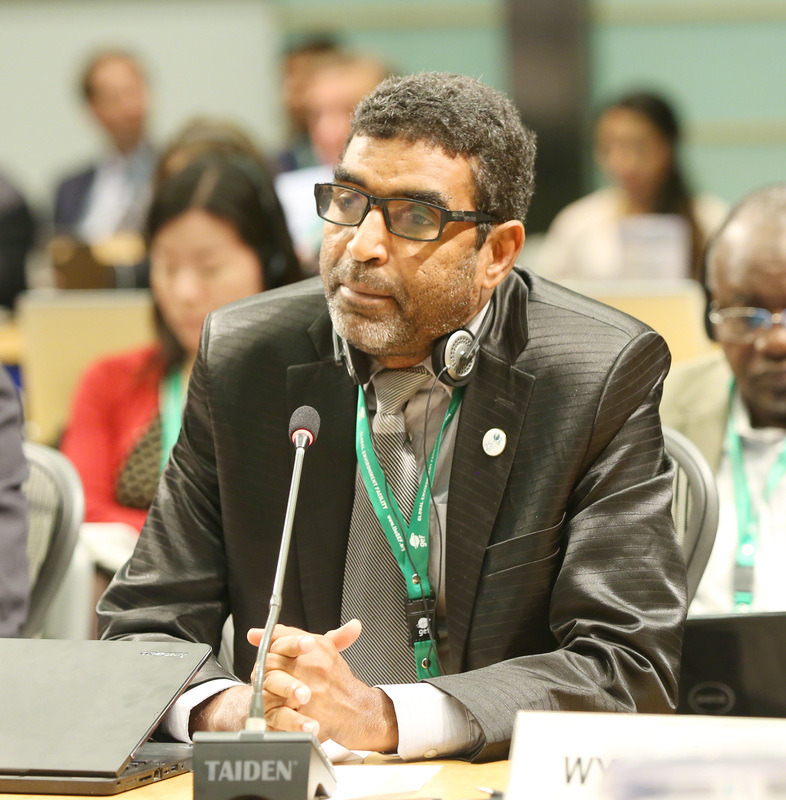 As indicated in the Joint Summary for the GEF Council meeting, the Council approved its Work Program comprising 38 project concepts and four programmatic frameworks, with total resources amounting to US$398.68 million. 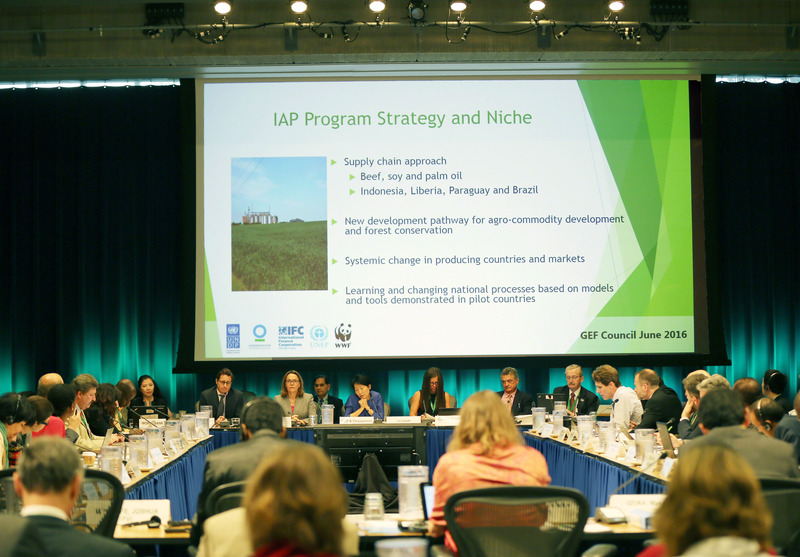 The programmatic frameworks include a Global Partnership on Wildlife Conservation and Crime Prevention for Sustainable Development and a project on Leapfrogging Markets to High Efficiency Products. As agreed on the first day of the meeting and included in the Joint Summary of the Chairs, the 50th meeting of the GEF Council also established a new trust fund for the Capacity-building Initiative for Transparency (CBIT). 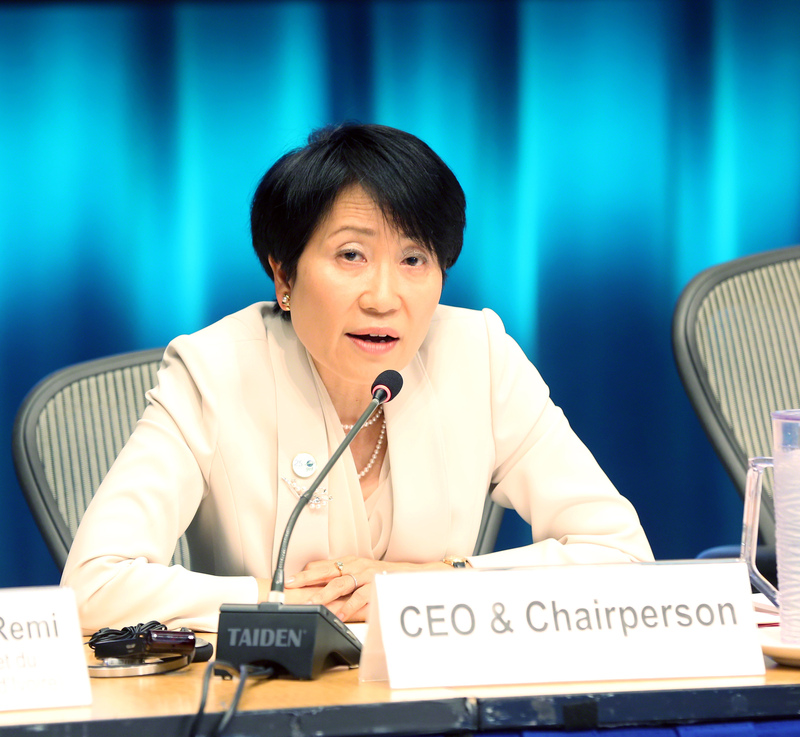 At the close of the meeting, GEF CEO and Chairperson Naoko Ishii thanked Council members for their input and a rich discussion, which she said would be useful as the Secretariat plans for the seventh replenishment of the GEF (GEF-7). 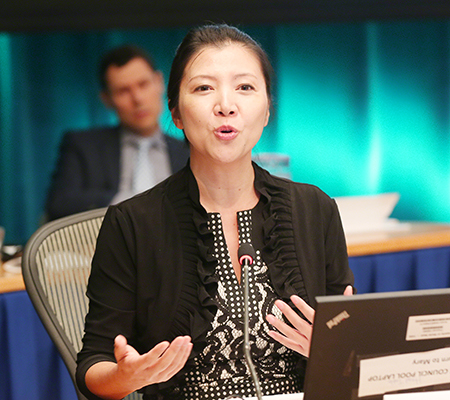 Ishii closed the meeting at 2:05 pm. 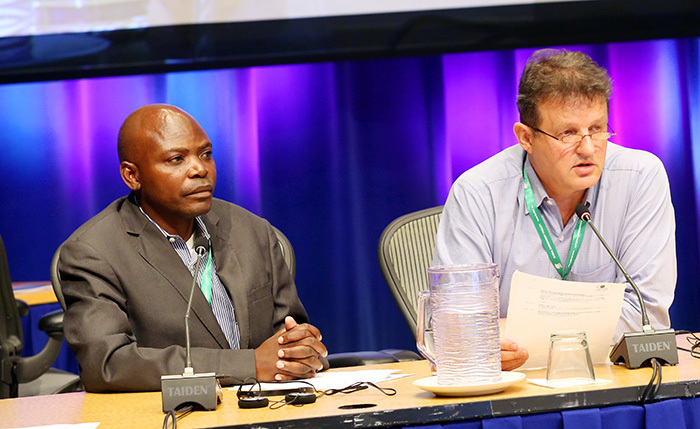 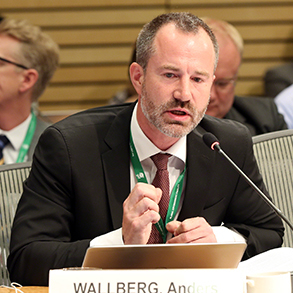 IISD Reporting Services, through its ENB+ Meeting Coverage, has provided daily web coverage from the GEF Council Consultation Meeting with CSOs, 50th GEF Council Meeting and 20th Meeting of the LDCF/SCCF Council. In addition, IISD Reporting Services has also produced a summary video of the event, which is available in HTML and PDF format. 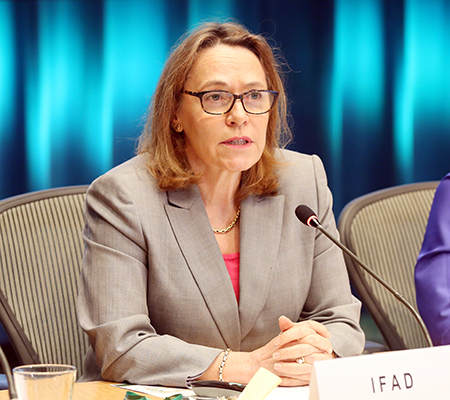 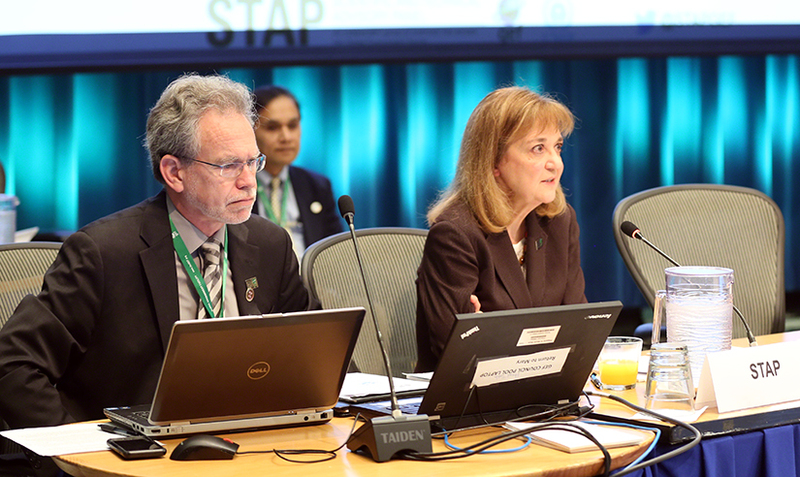 The second day of the 50th meeting of the Global Environment Facility Council began with a briefing by Rosina Bierbaum, Chair, Scientific and Technical Advisory Panel (STAP). 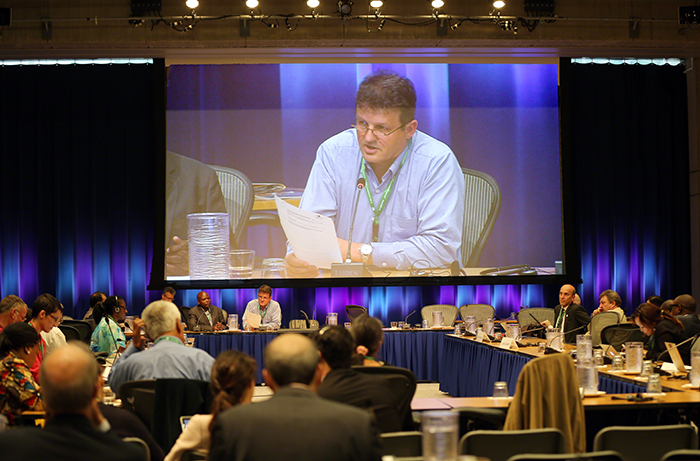 Bierbaum, inter alia, addressed selected areas of work, including: the Mercury Platform focusing on mercury concentrations in fish; the Green Chemistry holistic approach to curtailing marine litter from plastics; areas beyond national jurisdiction (ABNJ); wildlife trade; and a knowledge management system that can capture replicable lessons and best practices. 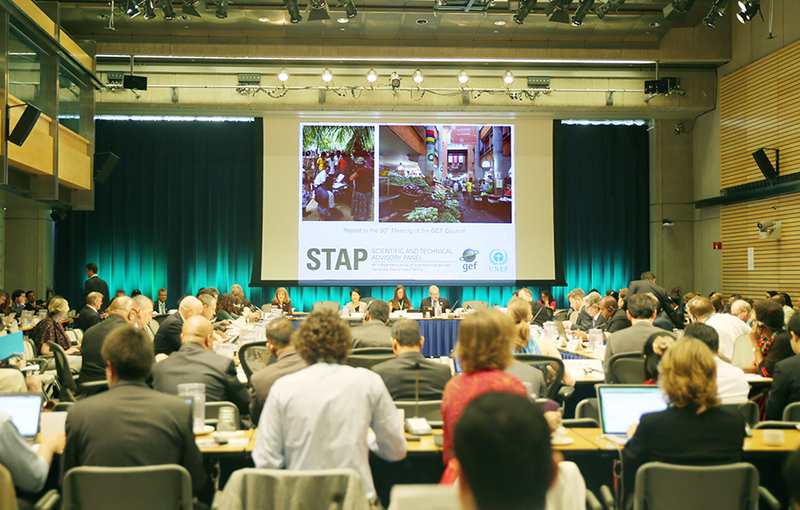 Bierbaum outlined STAP’s engagement with the Rio Conventions, and presented STAP’s vision of the GEF going forward, recommending that: environmental degradation be handled in a more integrated and holistic way; sustainable development be at the core of GEF interventions; and the GEF continue to be catalytic and innovative while actively seeking to effect permanent and transformational change. 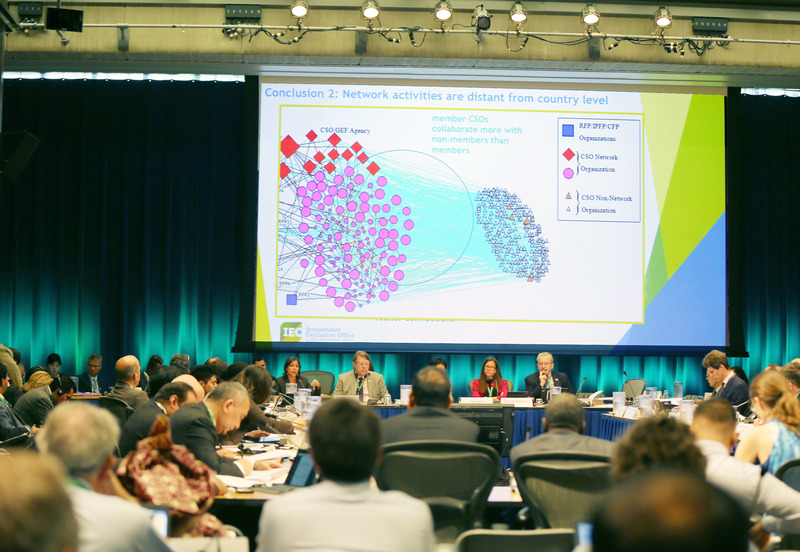 During the morning, the GEF Council also discussed the Semi-Annual Evaluation Report June 2016, the Sixth Overall Performance Study (OPS6) Approach Paper and the Evaluation of the GEF-CSO Network. 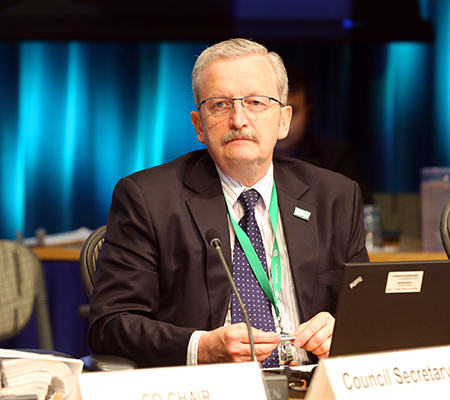 At the beginning of their afternoon deliberations, the Council discussed relations with the conventions and other international institutions, with presentations by the Executive Secretaries from the UN Framework Convention on Climate Change (UNFCCC), the UN Convention to Combat Desertification (UNCCD) and the Convention on Biological Diversity (CBD), as well as the Principal Coordinator of the Minamata Convention on Mercury. 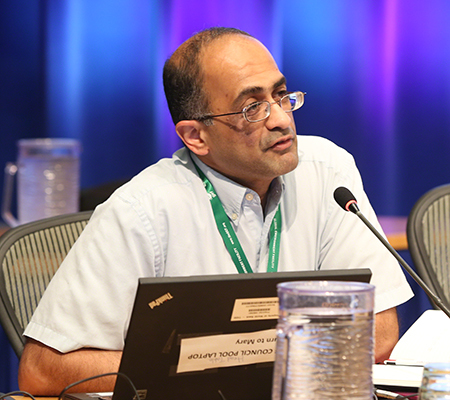 The Council concluded the day with a review of the proposed Work Program for the GEF Trust Fund, which includes 38 project concepts and five programmatic frameworks. The total resources proposed in the Work Program amount to US$449.7 million. 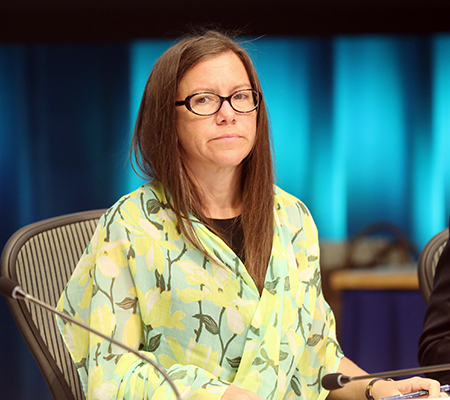 Council deferred the final decision on the Work Program until Thursday. 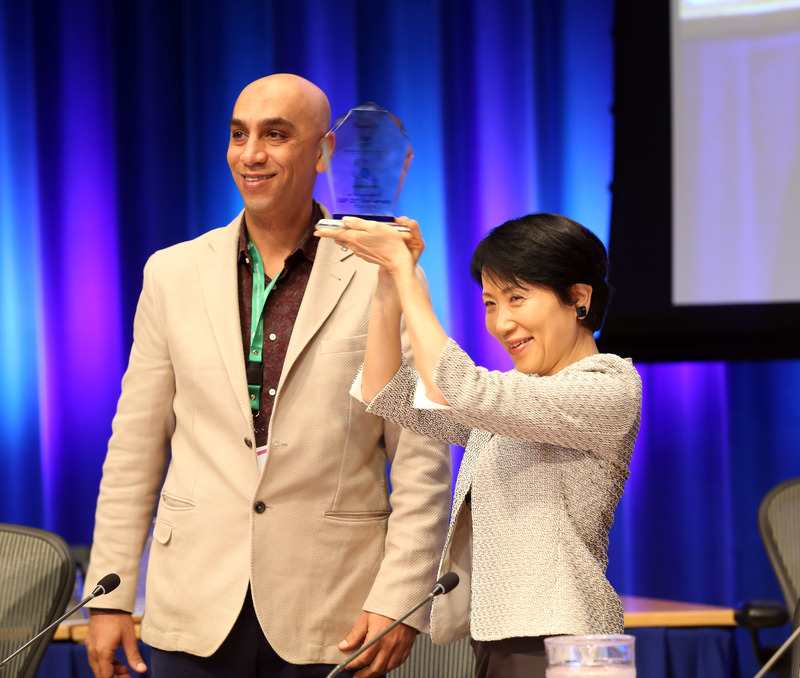 On Tuesday, 7 June 2016, Naoko Ishii, Chief Executive Officer (CEO) and Chairperson of the Global Environment Facility (GEF), opened the 50th meeting of the GEF Council, noting that it marks the GEF’s 25th anniversary. 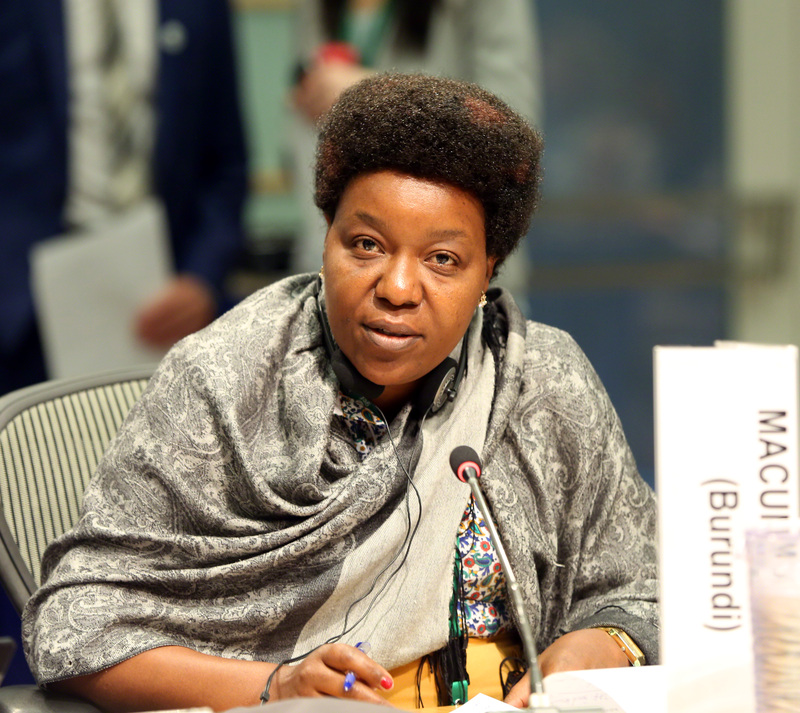 Describing 2016 as the year of implementation of the Sustainable Development Goals (SDGs) and the Paris Agreement on climate change, she called for a solution to the problem of the global commons, and introduced the agenda. 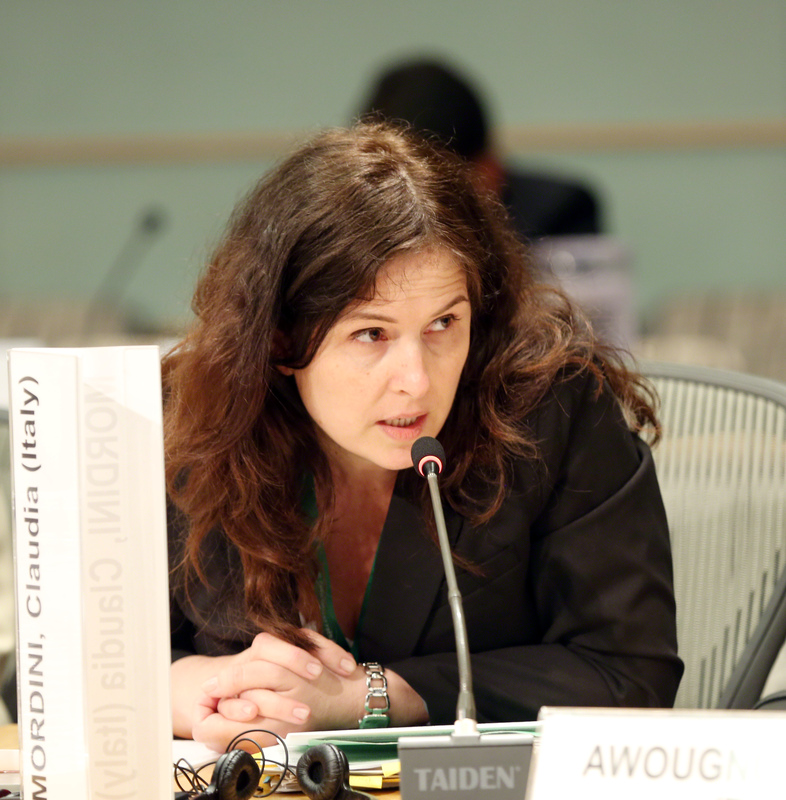 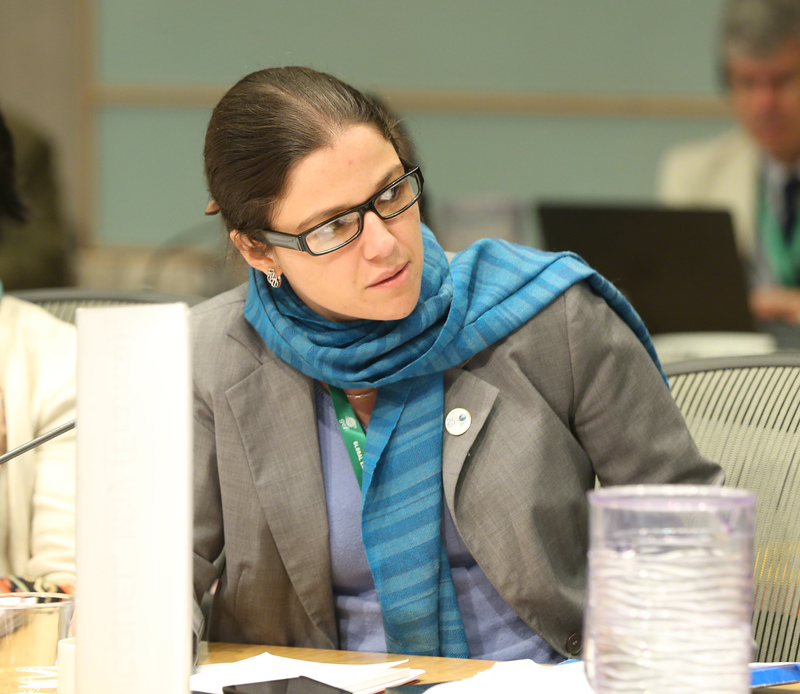 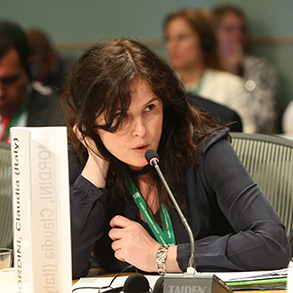 Caroline Leclerc (Canada) was elected Co-Chair for the 50th meeting of the GEF Council. 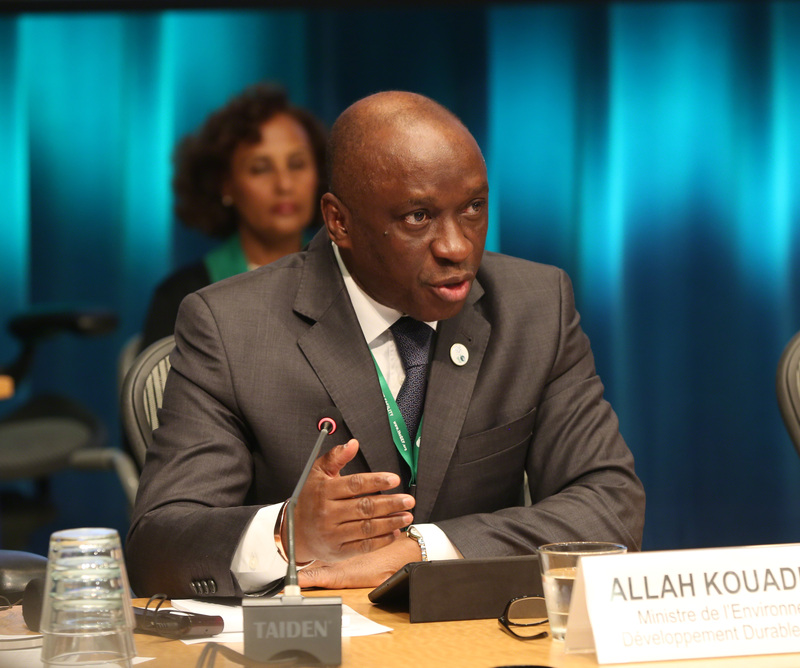 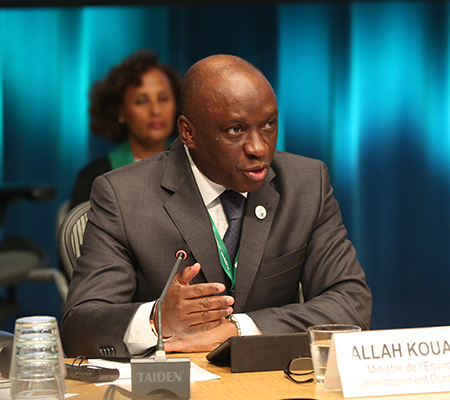 Before commencing discussion on the agenda items, Remi Allah-Kouadio, Minister of Environment and Sustainable Development of Côte d’Ivoire, addressed the Council, stating that GEF resources to fight climate change, poverty, insecurity, ignorance and other challenges need to be enhanced, and expressing his country’s commitment to being a GEF donor. 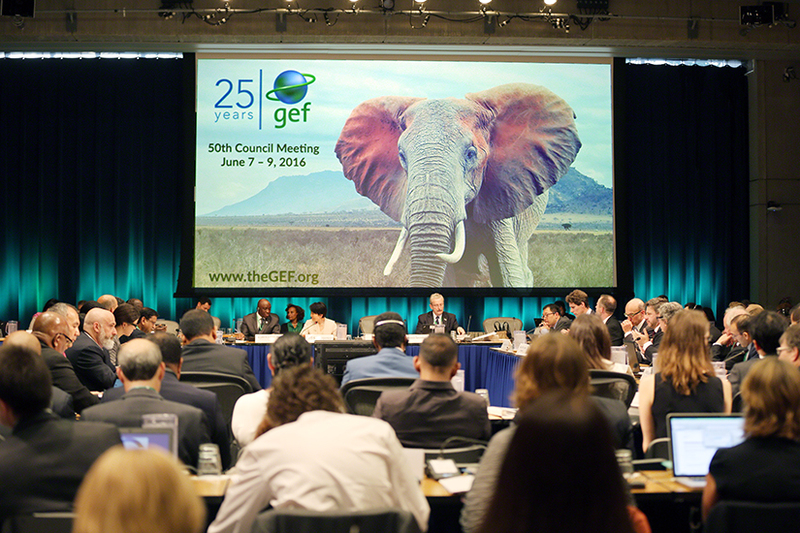 During their first substantive discussion of the 50th meeting, the GEF Council heard an update on GEF2020 and discussed future directions for the GEF. 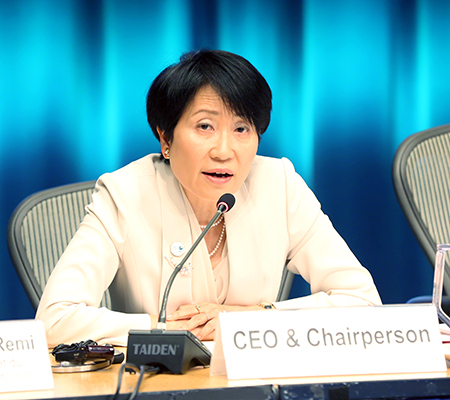 CEO Ishii presented an update on the GEF2020 strategy, which was approved in 2014. 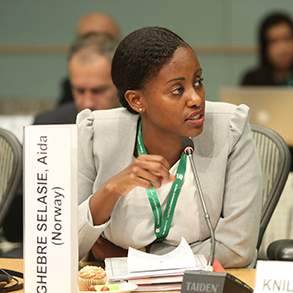 She said that, although it is still too early to detect tangible results on the ground, it is possible to capture some early lessons. 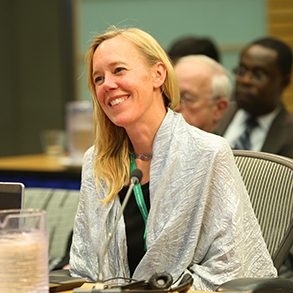 She said key issues for discussion include: emerging lessons from new initiatives such as Integrated Approach Pilots and how these could be drivers and catalyzers for further growth; the GEF’s role in the rapidly changing environmental financing landscape and the GEF’s value proposition and complementarity with other funds and mechanisms; the GEF’s focus on resilience and integrating it into all operations; and the effectiveness of the delivery machinery. 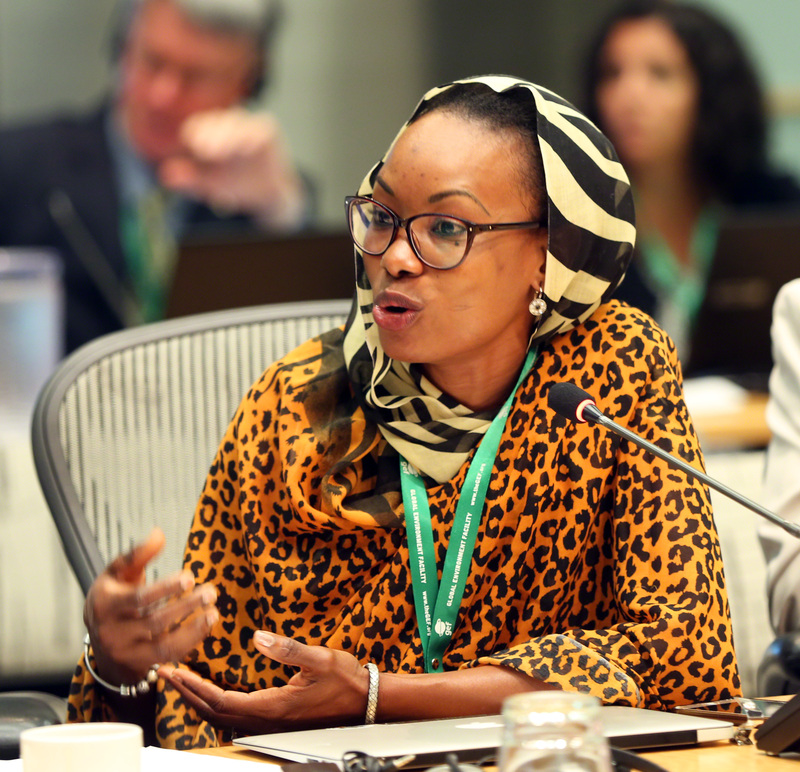 Council members proceeded to discuss the GEF’s strengths and weaknesses, highlighting the need for the GEF to be bold in thinking about its future direction and implementation of the GEF2020 strategy. 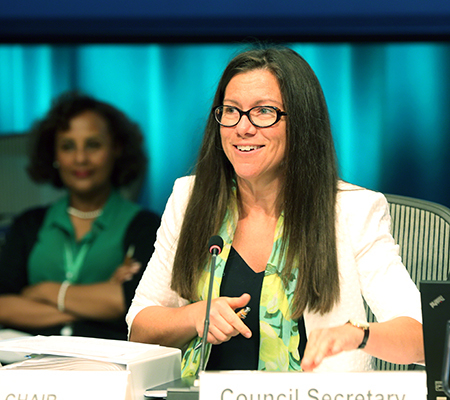 Additional agenda items discussed on the first day of the Council’s 50th meeting included: the GEF corporate scorecard and results-based management action plan; monitoring agency compliance with GEF policies; the establishment of a trust fund and programming directions for the “Capacity-building Initiative for Transparency;” future directions for accreditation, and the GEF project and program cycle policy. 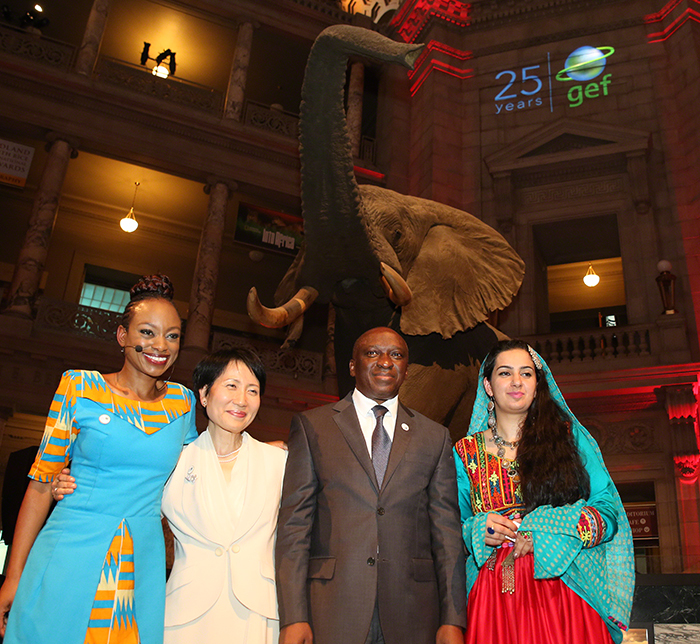 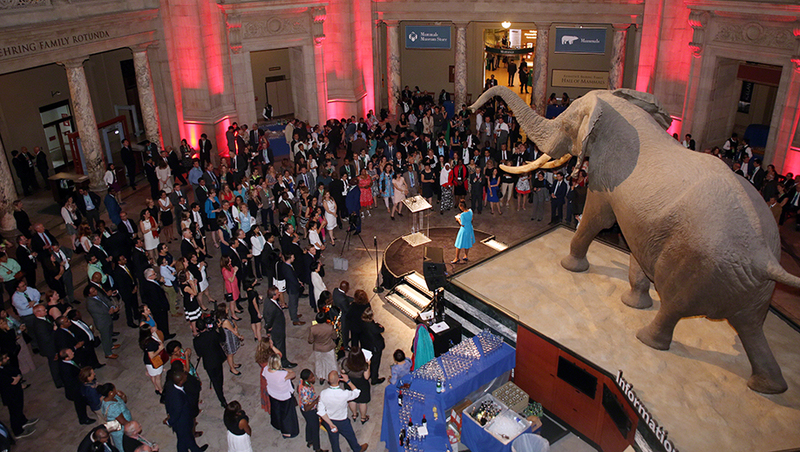 During the evening, GEF Council participants attended the GEF 25th anniversary commemorative reception. 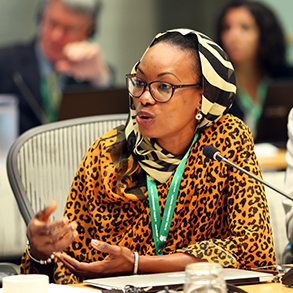 The Global Environment Facility (GEF) Council Consultation meeting with Civil Society Organizations (CSOs) took place on 6 June 2016, the day before the opening of the 50th meeting of the GEF Council. Participants highlighted that the events mark the 21st anniversary of the GEF-CSO Network and the 25th anniversary of the GEF. 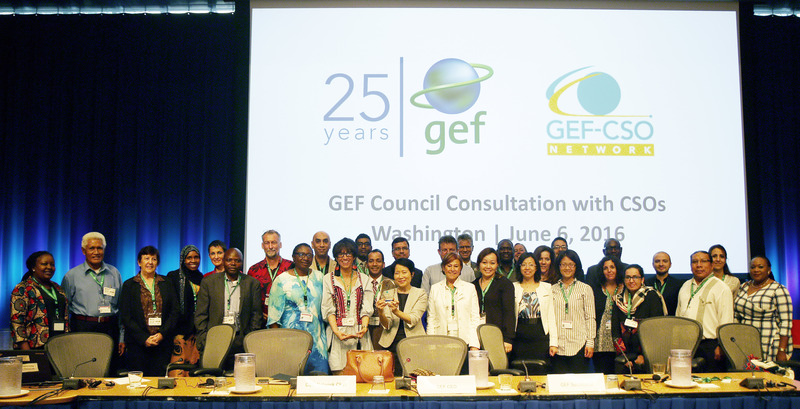 The CSO consultation included a dialogue with the GEF CEO and Chairperson, Naoko Ishii, discussions on an evaluation and recommendations for changes in the GEF-CSO Network, case studies on the GEF experience in five countries and future directions for the GEF. 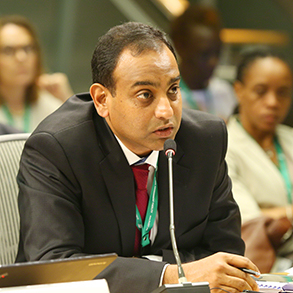 Essam Nada, GEF-CSO Network, opened the Consultation and highlighted his trust in the conclusions and recommendations of the Independent Evaluation Office’s (IEO) evaluation of the GEF-CSO Network. 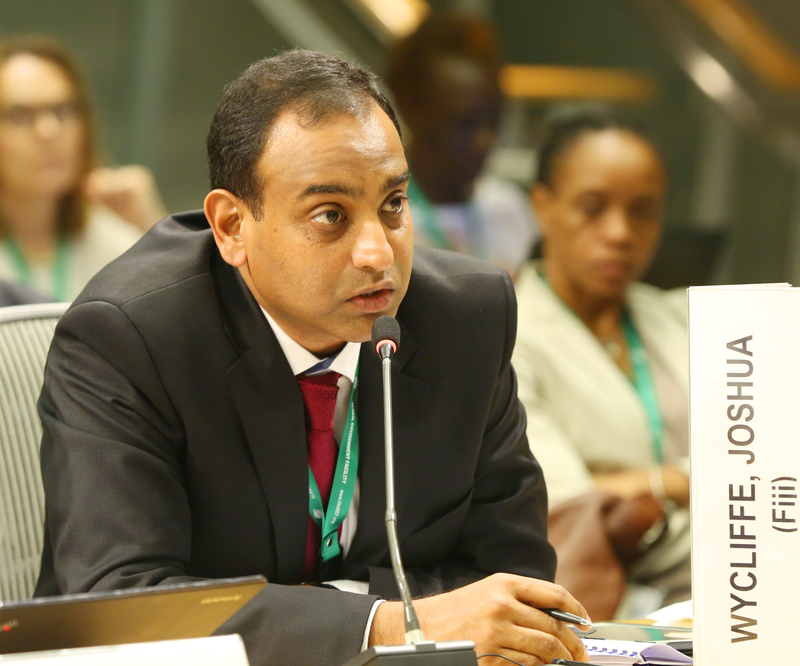 He stressed the need to think outside the box to take action to address environmental challenges. 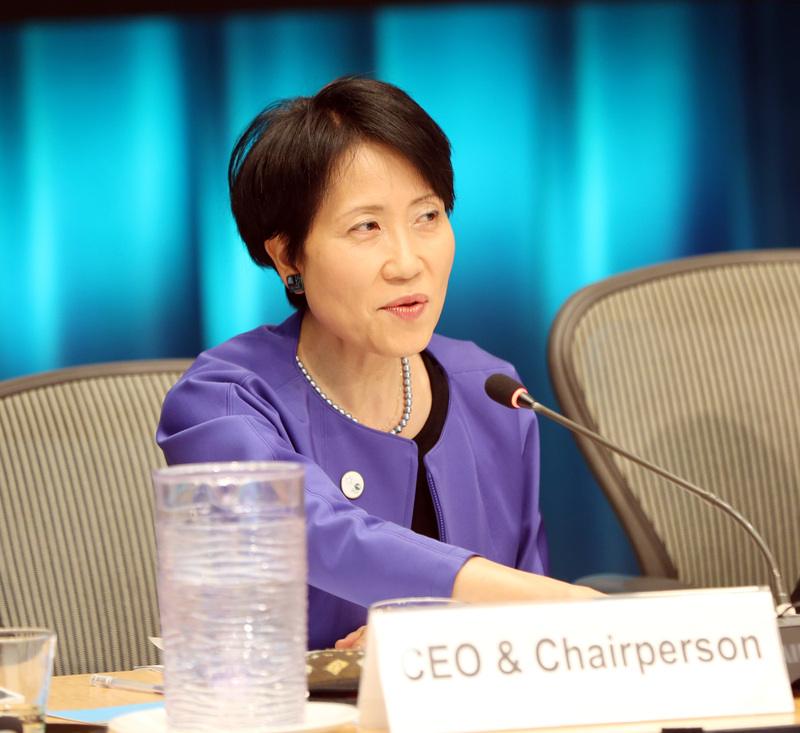 Naoko Ishii, GEF CEO and Chairperson, highlighted the importance of this GEF Council in the context of the GEF’s 25th anniversary and the implementation phase of the Paris Agreement on climate change and the Sustainable Development Goals (SDGs). She noted the need to change the tragedy of the commons to an “opportunity” of the commons and to push the health of the global commons to the center stage of discussions internationally. She said CSOs are critical partners, and the GEF-CSO Network needs a contemporary vision and to increase its relevance with respect to the GEF’s mission. This session considered the current operation of the GEF-CSO Network, including challenges to and visions for its effective engagement in GEF processes. 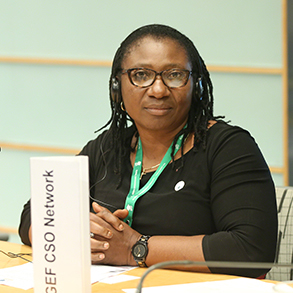 A panel on the GEF-CSO Network was co-moderated by Priscilla Achakpa, Regional Focal Point (RFP) West Africa, and Akhteruzzaman Sano, RFP Southeast Asia. 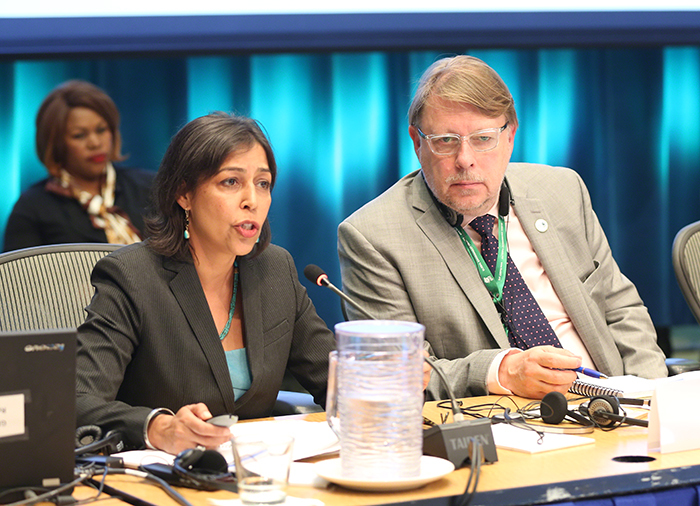 Geeta Batra, IEO, introduced the IEO’s Evaluation of the GEF-CSO Network. 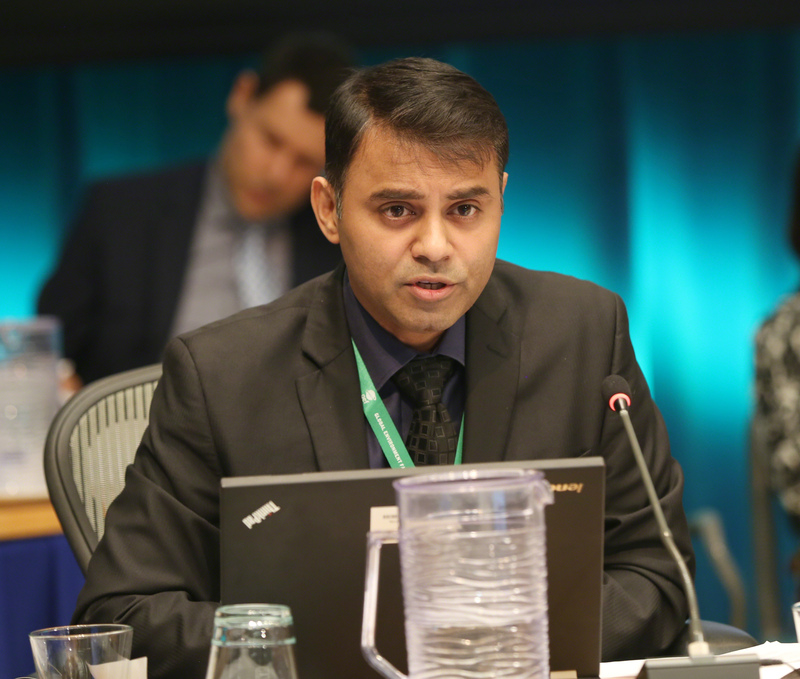 Among the report’s conclusions, Baljit Wadhwa, IEO, highlighted: the Network’s continued relevance to the GEF Partnership; its distance from the country level where GEF projects make their mark; the lack of a shared vision for the role of the Network in an expanding GEF Partnership; and its governance-related challenges. 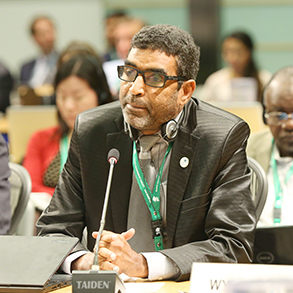 Faizal Parish, GEF-CSO Network Secretariat, presented the Network’s response to the GEF IEO’s review, stressing the need to work in collaboration with all members of the GEF family. 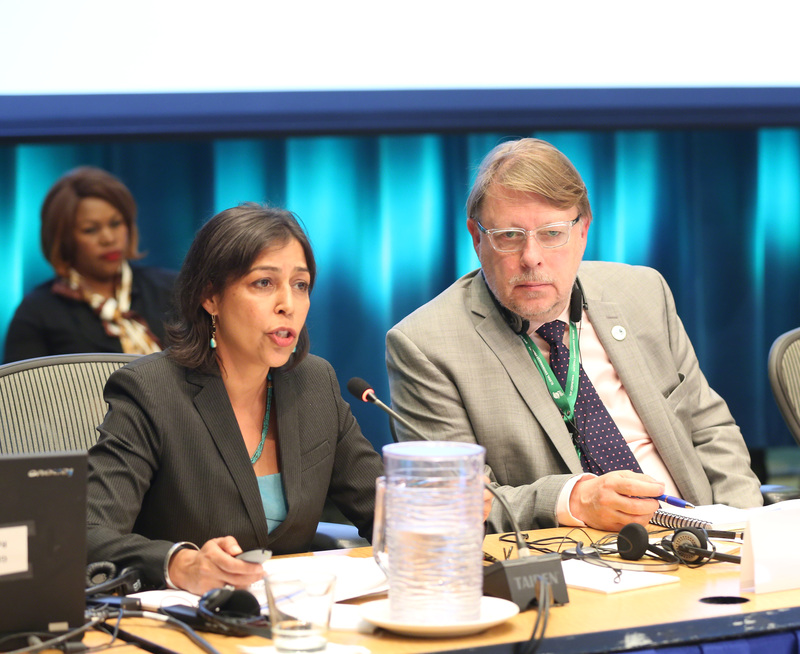 Pilar Barrera, GEF Secretariat, welcomed the evaluation and encouraged the Network to continue strengthening its governance system. 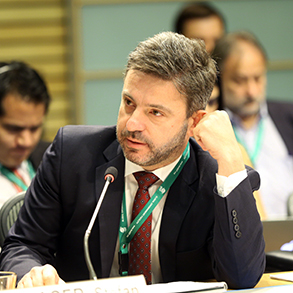 Stefan Marco Schwager, Switzerland, drew attention to the lack of interaction between the Network and some of the GEF agencies. 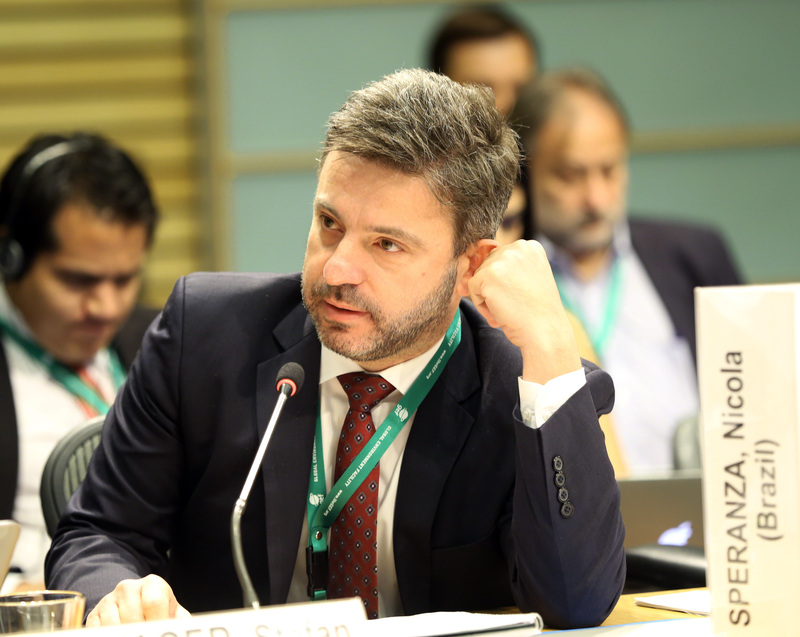 Carlos Raul Delgado, Mexico, called for enhancing CSOs’ capacities to interact with government agencies. 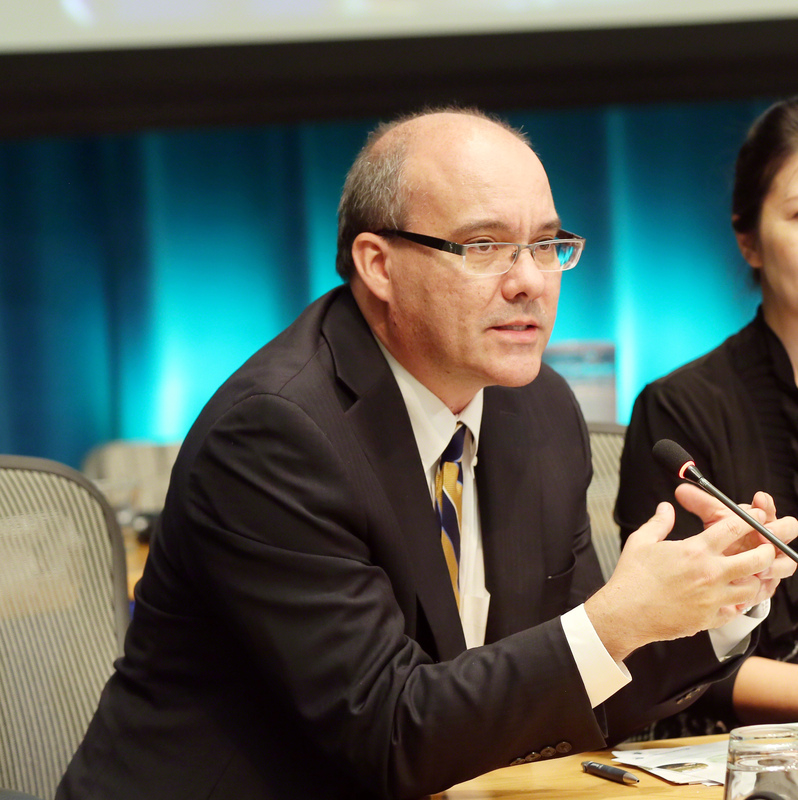 Stephen Gold, UN Development Programme (UNDP), emphasized collaboration among the Network and the GEF’s Small Grants Programme (SGP). 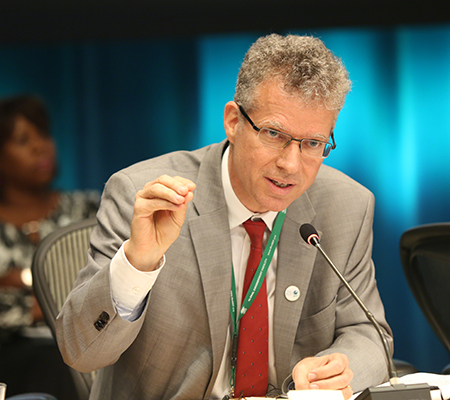 Timothy Geer, World Wildlife Fund (WWF), stressed the need for CSOs to “compete and collaborate” to make the GEF more effective. 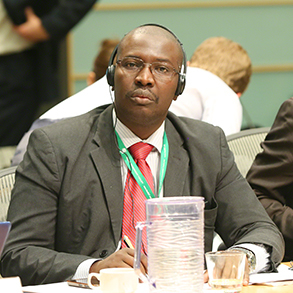 During the ensuing discussion, participants addressed, inter alia: ways for the Network to engage with other civil society and indigenous peoples networks; the need to review the Network’s mandate; and the need to recognize CSOs’ involvement through policies and designated budget allocations. 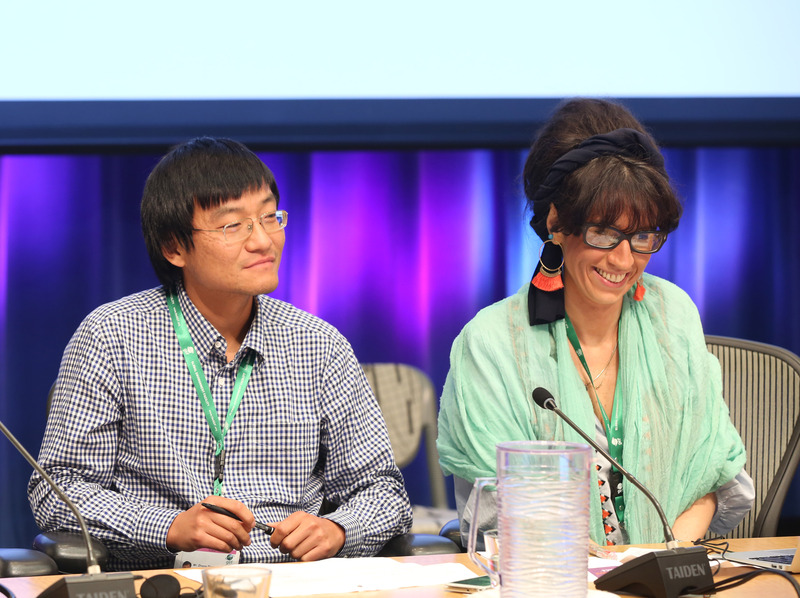 The panel on “CSO Experience and Achievements: Case Studies Presentation,” was moderated by Nana Janashia, RFP Eastern Europe and Central Asia, and Zhao Zhong RFP Northeast Asia. Abdelhamid Belemlih, La Société Protectrice des Animaux et de la Nature (SPANA), presented a project in Morocco aiming to improve project management of protected areas by implementing 73 eco-development projects in three national parks. 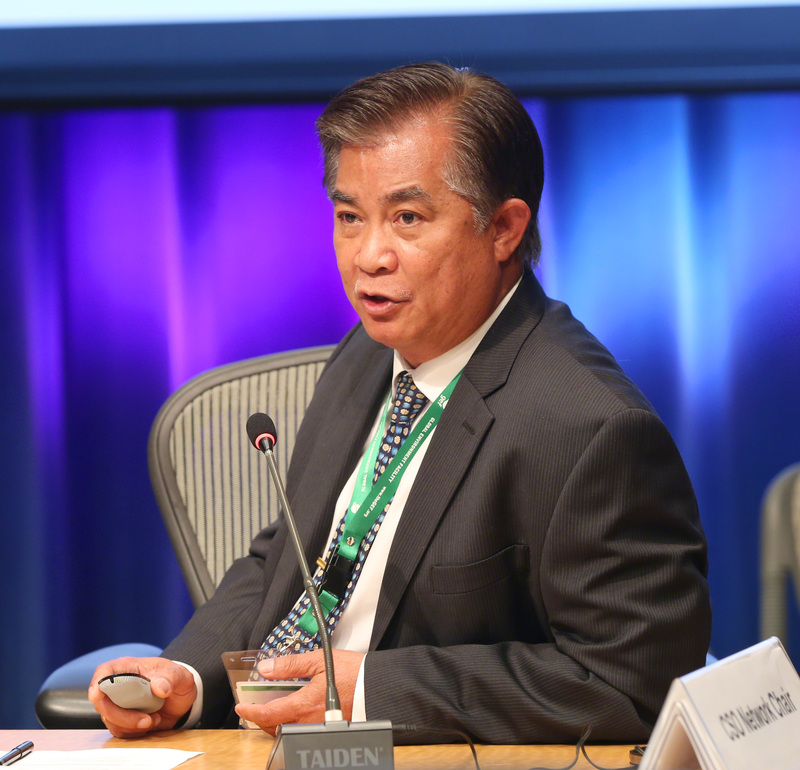 Akhteruzzaman Sano, for Save the Earth Cambodia, outlined a project aimed at enhancing community resilience against multi-hazards involving a micro-insurance mechanism deemed highly successful and sustainable. 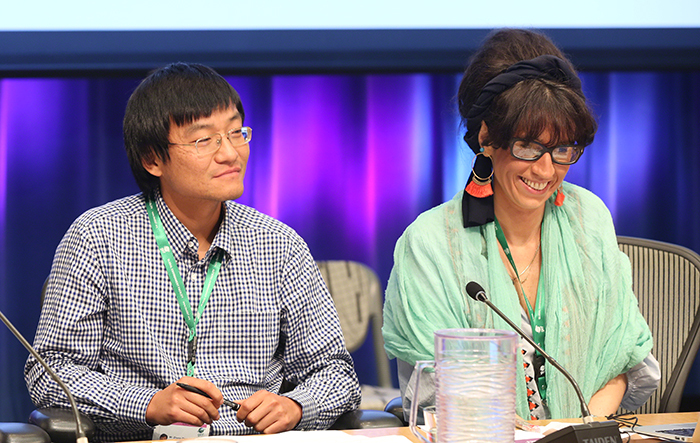 Michela Izzo, Guakia Ambiete, presented a project in the Dominican Republic and Haiti which has installed 42 community micro-hydropower systems that have benefited 4,000 families, conserved 70 km2 of land and reduced 24,000 tons of CO2. 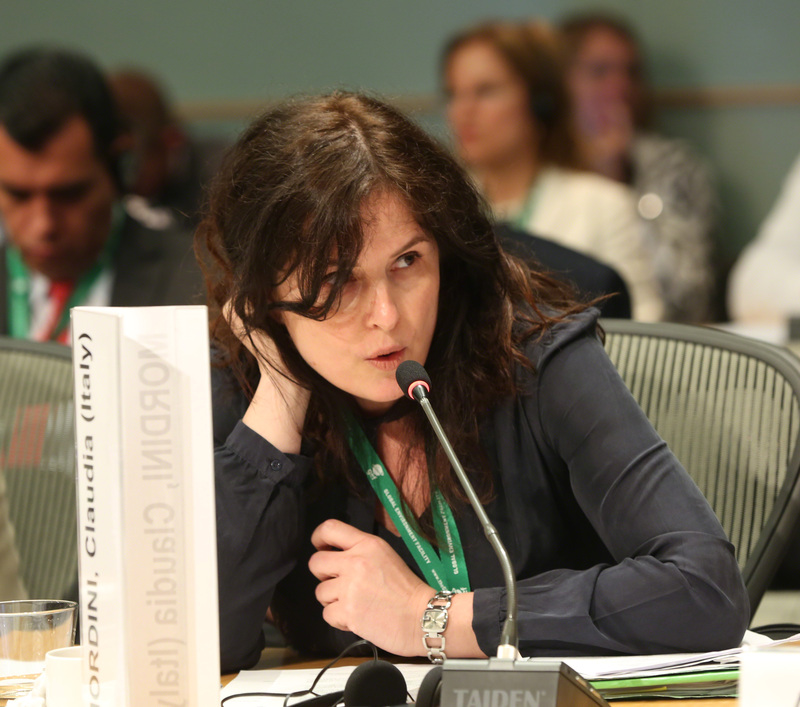 Elsa Escobar, Fundación Natura, presented a mechanism for voluntary mitigation of greenhouse gas emissions in Colombia which has achieved both emission reduction and community development. 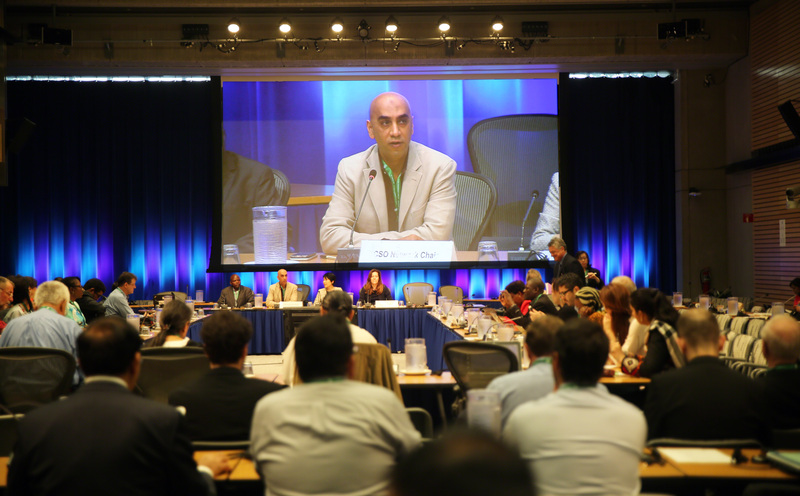 Lisa Elges, RFP Europe, chaired the panel on the “Future Strategic Role of GEF.” Anand Patwardhan, STAP Panel member for Climate Change Adaptation, highlighted initial thinking on GEF-7, including considering how the GEF can build on its ability to support new ideas, innovation and integration. 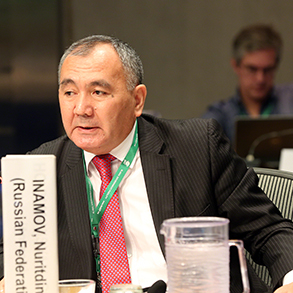 He said knowledge management should have a central role, along with a strengthened internal and external environment to capture lessons from projects. 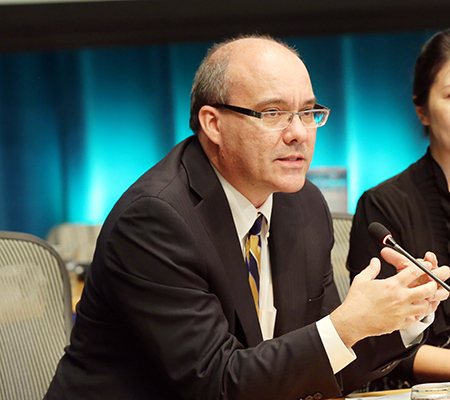 Claus Pram Astrup, GEF Secretariat, called for attention to, inter alia: the context in which the GEF operates and how that has changed; the importance of country ownership; the GEF’s role in the evolving architecture for climate financing and in the discussion on resilience; and how the GEF can align itself with countries’ broader policy priorities. 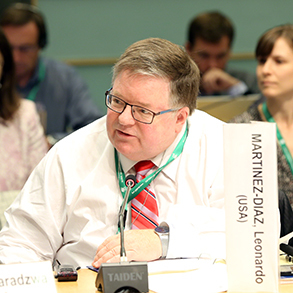 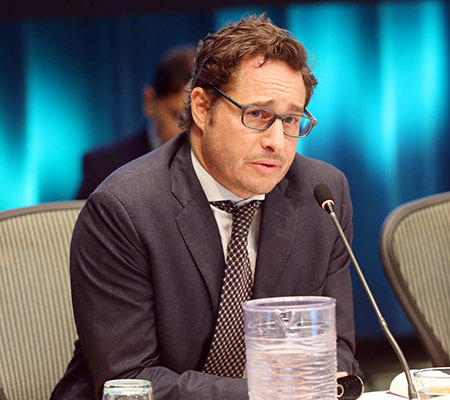 Leonardo Martinez-Diaz, US, suggested ensuring the sustainability of projects on the ground and making the GEF more user-friendly, among other ideas. 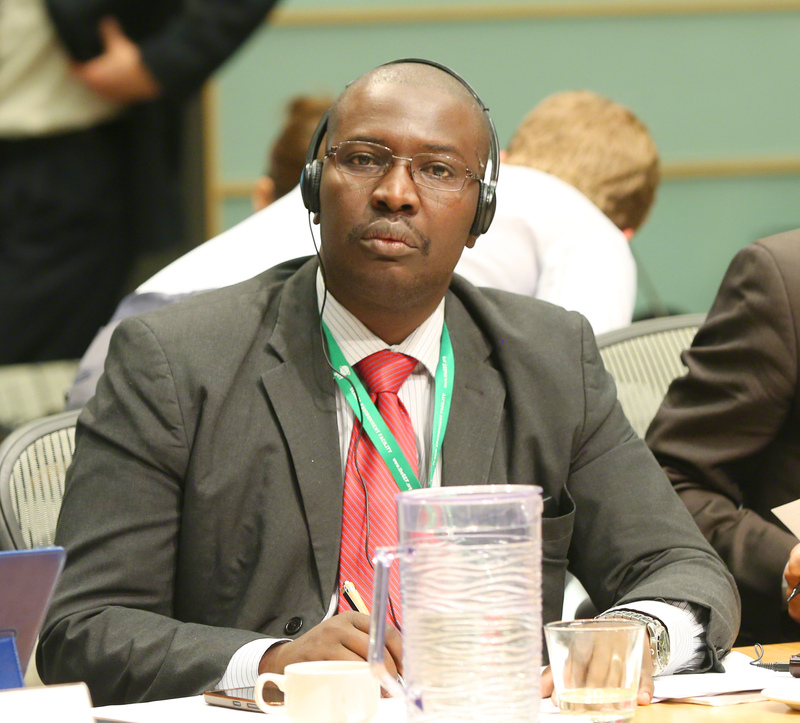 Essam Nada, GEF-CSO Network, emphasized focusing on change at the community level. 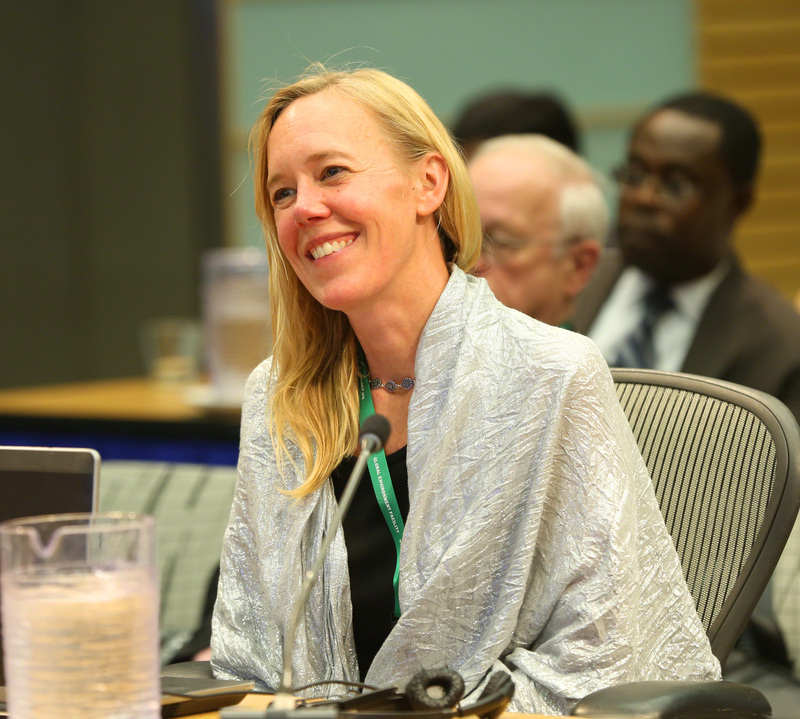 Lisa Elges, for Transparency International, said the GEF should develop a robust ethics and conflict of interest policy for Council members. 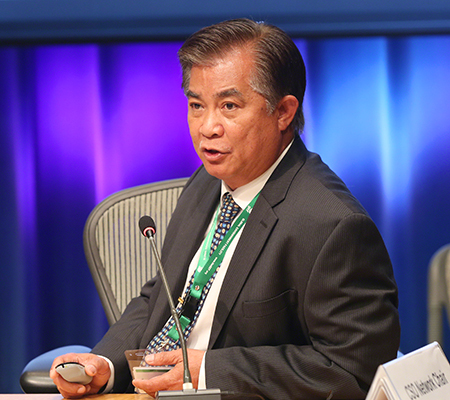 Delfin Ganapin, GEF-SGP, highlighted that the SGP has supported over 20,000 projects through grants of up to US$50,000, and reviewed ideas for the future, including using the SGP as a “Grants-Access Convener,” which would provide services to help CSOs access other grants and donors. 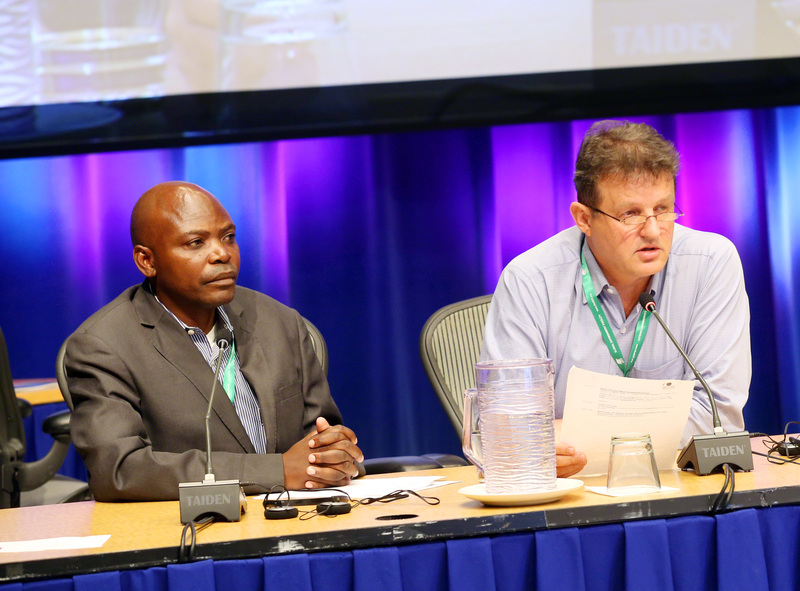 A panel on “GEF Future Role in Convention Implementation” was co-moderated by Patricia Turpin, RFP Caribbean, and Victor Kawanga, RFP Southern Africa. 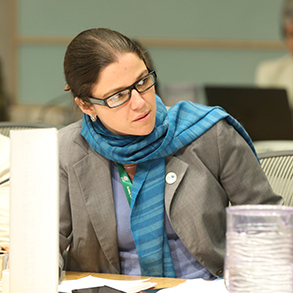 Turpin said GEF activities supportive of the Convention on Biological Diversity (CBD), UN Convention to Combat Desertification (UNCCD), UN Framework Convention on Climate Change (UNFCCC), Stockholm Convention on Persistent Organic Pollutants (POPs), Minamata Convention on Mercury and Montreal Protocol on Substances that Deplete the Ozone Layer also focused on SDGs implementation. 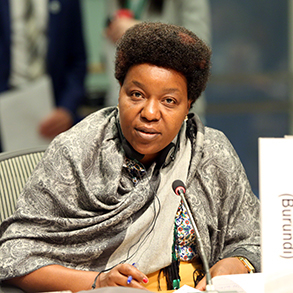 Edna Kaptoyo, indigenous peoples’ representative, invited the GEF to support indigenous peoples through policy, a sustainable voluntary fund, capacity-building workshops and medium-sized grants. On the establishment of the Capacity-building Initiative for Transparency (CBIT) Trust Fund, Lisa Elges, RFP Europe, identified the need for clear benchmarks on transparency for finance and clarity on how it will complement other initiatives, including the SDGs. 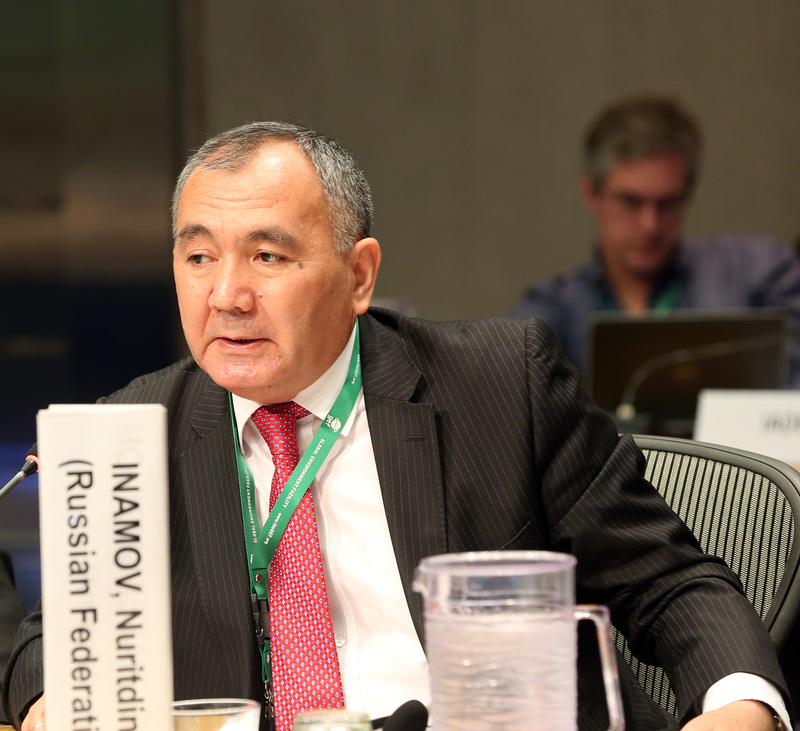 and Central Asia, moderated the panel discussions on CSO experience and achievements. 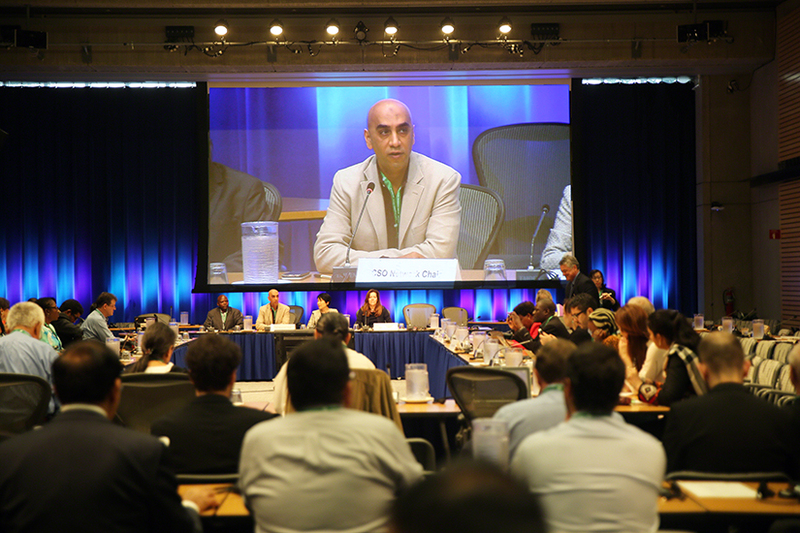 Faizal Parish, GEF-CSO Network Secretariat, summarized and closed the consultation by highlighting, inter alia: the GEFs indication that the GEF family will contribute to enhancing the work of the GEF-CSO Network; the need for adequate resources for the GEF-CSO Secretariat to effectively manage the Network; and the need for the GEF to respond quickly to emerging issues and agreements within GEF-related conventions. 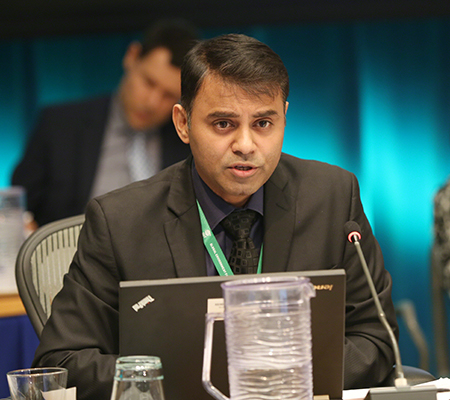 Faizal Parish, GEF-CSO Network Secretariat, summarized the day's proceedings and closed the consultation.